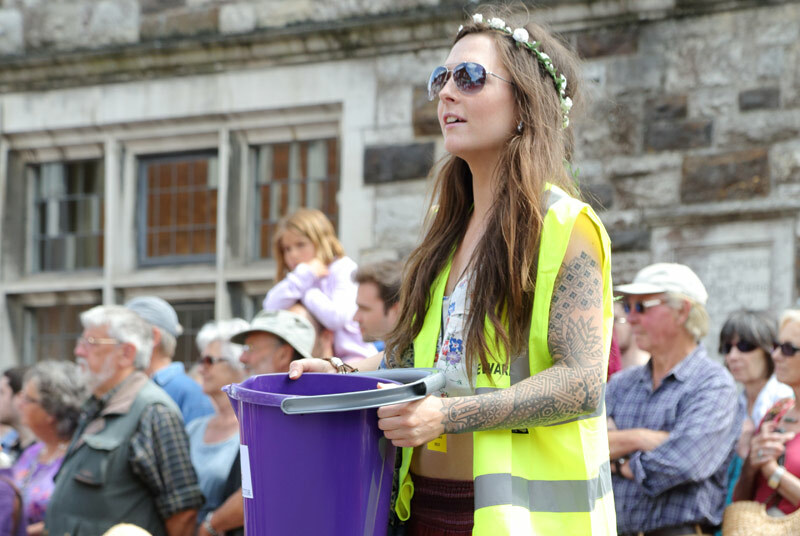 We are looking for vibrant people to be part of the festival team who are prepared to work in shifts, for at least 6-8 hours for the festival. You must be over 18, reliable, have good people skills and be able to remain pleasant and cheerful whatever the circumstances! In exchange for your time, we will give you a pass for festival events and to Party In The Paddock plus a free souvenir programme, free parking and free camping! You will generally be working in teams. Training will be given if necessary. You will need to sort out your own refreshments. A free day/weekend pass will be given to stewards which covers all festival events and entry to Party In The Paddock. You will receive a free souvenir programme. Free parking will be available for stewards within the festival area. Event stewards at Concerts, Ceildihs, Sessions and Workshops. Schedules will be designed to suit your requirements as much as possible. Many jobs involve heavy lifting. Hi vis jackets and hard hats provided as appropriate. The Week Before: Some decorations, Bunting, Road Notices etc - A few hours many days for a small crew. Applications for this team close on 14th of April.